Somerville’s Condominium Review Board will now be enforcing a law requiring a year’s notice to tenants before converting property to condos. Attorneys and developers say this will delay their ability to develop and puts too much responsibility on them to make sure tenants aren’t being ousted by property owners eager to sell, with one prominent attorney telling the board the local law could violate state law. To convert a building to condominiums and remove rental units from the market, a property owner has to submit an application to the Condo Review Board. City law requires applicants to submit a master deed – the document outlining condo rules and property breakdowns -- that has been filed with the state registry of deeds to the board. But before the owner submits the master deed to the review board, city law requires him to give a year’s notice to tenants in the building, or two years notice for tenants who are elderly or disabled. City housing director Michael Feloney said the board would “refine” its practices after a neighbor of a proposed condo conversion complained that the required year notice was never given. At the board’s April meeting, assistant city solicitor David Shapiro said the existing law was “defendable” and needed to be enforced. Applicants who have previously been approved will be grandfathered in, but pending applicants will have to send notice to all tenants or previous tenants over the past year for their consent, or make a good faith effort to find previous tenants. And all applicants after April will be required to provide a year’s notice before board approval. And Digirolamo and other attorneys at the meeting pushed back specifically on providing a year’s notice for converting vacant buildings. Bob said the board will require applicants attempting to convert a vacant property to give notice for a year while making a “good faith” effort to find the previous tenants to see if they had been improperly evicted. If the tenants can’t be found, applicants would sign an affidavit saying so. Charlestown real estate attorney Tony Troiano said the requirement was an “undue burden” for people buying property they intend to convert to condos, and most sellers would likely refuse to pass on tenant information. Bob said asking a seller would constitute that good faith effort even if the query was met with refusal. With tenants coming forward saying they have been offered money by a person buying her building to leave in order for the building to be vacant for condos Niedergang said he thought the stricter enforcement of the law was reasonable, and did not think it violated any rent control provisions. But there would be a difficult period of transition because of the lack of enforcement in the past, he said. But the city needs to do a better job of enforcing development regulations in general, he said. While people following condo review procedure now have more regulations to contend with, people violating the laws will still continue to violate them. Niedergang said he was open to changing the requirement of a year’s notice for converting vacant properties, but that should come with a complete overhaul of condo law. Officials created a task force to examine revising the law in 2007 but no changes were made. What are your thoughts on the new enforcement? 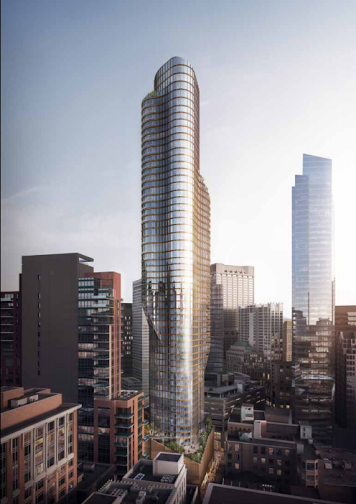 Developer's proposed One Bromfield, a 59-story tower in Boston's Downtown Crossing would exceed the height of Millennium Tower Boston, which set a record in the district. New York-based developer Midwood Investment & Development bought the parcels in the mid-2000s and set about with plans to construct a 28-story building with around 260 apartments and several floors of retail. The project was originially proposed in 2008 but the recession made quick work of the those plans. Midwood held on to the parcels and has resurrected plans for a mixed-use high-rise. It's new proposal calls for a building much greater in scale than original plans with about 30,000 square feet of ground-floor retail space, with 300 rental units above and 119 condominium units. Of the 300 rental units, 54 would be designated affordable. The tower is slated to include 235 parking spaces and 420 bike parking spaces. 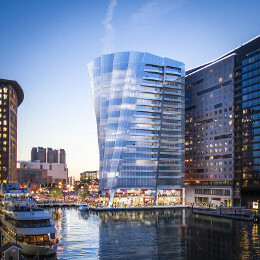 If approved, this would make One Bromfield one of the five tallest buildings in Boston. Stay tuned! Lately, Boston renters have been talking about the massive increase in rents over the past two years, specifically in full-service luxury buildings. This is understandable considering the eye-popping price tags in some of Boston’s newer buildings where 1-bedroom units can fetch upwards of $3,000/month and 2 bedrooms often exceed $4,000/month. If you happen to be one of the few people who wants a 3 bedroom…let’s just say you might have to double down on your student loans to afford it. However, like watching coverage of the current presidential election, don’t always believe what you see. According to The Boston Globe, the vacancy rate in Boston apartment buildings remained above 5% for the fourth straight quarter. There are a couple of reasons for this. The first is that more than 3,800 apartments opened in Boston in 2015, which eased the growing tension between the increasing population of renters and decreasing Boston inventory. The second is that many tenants who once lived in Boston have been priced out of newer buildings and have moved to cheaper rental markets outside of the city. What happens when vacancy rates increase? Developers are forced to adjust pricing and increase tenant incentives in order to keep occupancy above 95%. With 5,000 more apartments permitted for construction in 2016, tenant incentives should run rampant through Boston’s new developments. What does this mean for you? For starters it could mean one or more months in free rent, garage parking included and no broker’s fee. One example is Fuse Cambridge, which is offering 1.5 months in free rent and paying broker’s fees for tenants. Another is at the brand new Ava Theater District, which is offering two months free rent on 2 bedroom units and up to two months free on studio and 1-bedroom units, as well as paying full fee to brokers. There are also various buildings in Downtown Boston and the Back Bay that are not new construction but are still offering multiple months in free rent to new tenants. In a nutshell, if a 1-bedroom in a new construction luxury apartment building is $3,000/month and you get two months free, that’s $6,000 off throughout the course of the year or $500/month less than the sticker price of the apartment. If you factor in not having to pay a broker’s fee, (most buildings pay your broker for you), that is an additional $3,000 off, or $250/month in savings. When it’s all said and done, you could have that brand new 1-bedroom in a luxury apartment building for $2,250/month! Considering the average rent in Boston is around $2,100 per month, this is a relative steal in the grand scheme of the Boston rental market. So ignore the hype and rent the apartment of your dreams, it could be more attainable than you think! Check out the full list of luxury rentals here and contact Elevated Realty at info@ElevatedBoston.com with questions or to set up showings! Boston is in the midst of a high-rise condo development boom, and everyone wants a piece of the action. Buildings such as Millennium Tower and Twenty Two Liberty are selling completely off-market, prior to opening, at staggering rates. Boston’s high-end housing market is so hot these days even brand new condos that haven’t been lived in yet are being flipped for big profits. That’s what happened at Twenty Two Liberty, a new glass-walled condo building on Fan Pier with views of the Boston harbor and the downtown skyline. Six of the 118 units were sold by their original buyers before the building even opened at the start of this year — each one for at least $500,000 above the original price. Five more units are currently listed for sale. 22 Liberty hit the market just as demand for the upper end of the luxury market was surging, and there was little competition. Millennium Tower Boston is already 95% pre-sold out in less than 18 months, including the penthouse, which is currently under agreement, and the tower is still six months from final completion. The median price for condos in nine downtown neighborhoods, South Boston, and Charlestown jumped nearly 10 percent from 2014 levels, to $680,000. Prices for luxury condos — buildings with concierge service and parking — climbed at double that rate, to a median of $1.75 million. That translates into nearly $1,200 per square foot. And four in 10 condos sold above asking price. Developers are gradually shifting to meet that market, planning more condos after a several-year run of building apartments all over town. In the first nine months of 2015, according to city figures, 28 percent of new housing permitted in Boston was for-sale condos, up from 26 percent in 2014 and 17 percent in 2013. In the three months ending Sept. 31, more than 40 percent of permitted units were condos. Are you looking to Buy a Boston Condo? Create an account today to get access to thousands of listings! 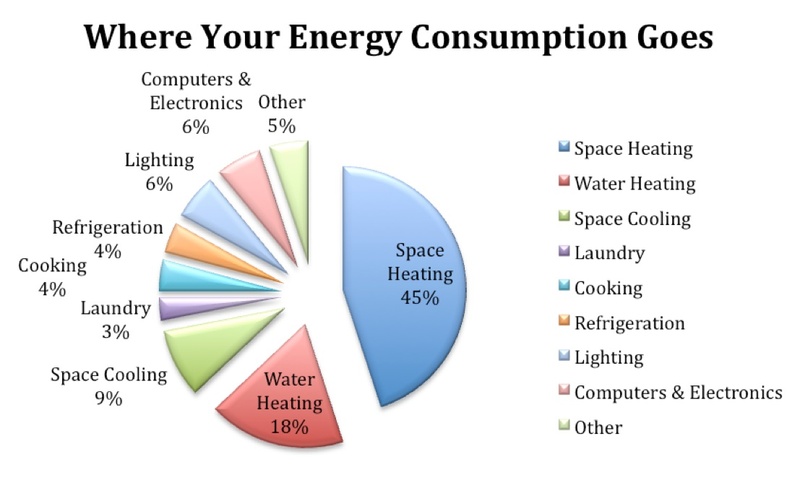 FREE energy, save money, live cheaper! Ceiling fans are a low-energy way to keep air moving in your home. Because of the air circulation effect, you can get away with keeping your thermostat a degree or two higher in summer and a degree or two lower in winter, netting a rather large savings. The most important thing to know is that the air directly below the fan should be blowing down on you in the summer and should be pulled upwards away from you in the winter. Choose these even if you have to pay more up front. Unless you were lucky enough to buy a fully-furnished home, you'll likely have to do some appliance shopping. Focus on reliability and energy efficiency above all, even if that seriously increases the cost you have to pay up front. A refrigerator that uses little energy and lasts 20 years is far, far cheaper over the long run than a fridge that runs for seven years and guzzles electricity.